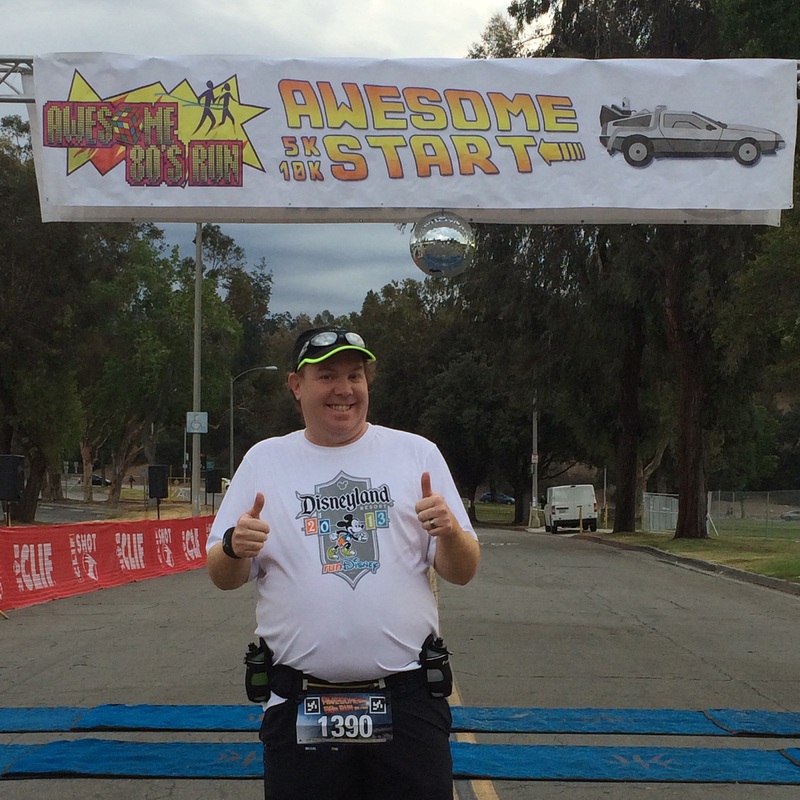 This past Saturday, I ran in the Awesome 80’s 5K at the Rose Bowl. I initially signed up for this race to make a 5K PR attempt. However, due to many missed training runs between the Rock n Roll San Diego races and this one, the PR attempt was to be put on hold. It’s probably a good thing I decided this before the race because I would have been really disappointed with this race otherwise. I arrived around 7:15am to pick up my race bib and t-shirt. The race was set to start at 8:30. According to the race web site, parking would be $10. However, I ended up parking in a lot that was free! So, the day was off to a great start. As you can see in the picture above, the lines weren’t too bad. So, I had plenty of time to get my bib, head back to the car, and get back to the start area. Race days are lots of fun. I love being out and around other runners. 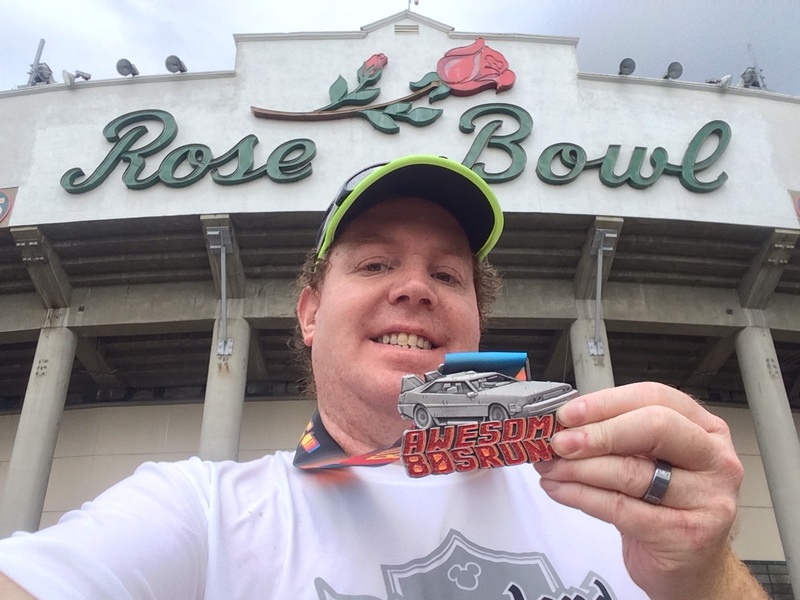 Running at the Rose Bowl was an added bonus. The clouds were looking ominous. However, I didn’t see rain in the forecast the night before. So, the clouds were serving the purpose of cooling things down. Since I still had lots of time before the race, I had to grab the obligatory picture with the starting/finishing line. I was all set to go. About 10 minutes before the 10K was set to start, the MC called the 10Kers over to the starting corral for a quick “epic” warm up. This is when I learned that the race would be going the opposite way around the Rose Bowl loop from what I had been training during the week. That really sucked for me as I had built-in some mental queue’s on the route the event web site said they’d be going. It was pretty fun to watch everyone grooving along with this “warm up.” Of course, the dance moves were done to 80’s music! 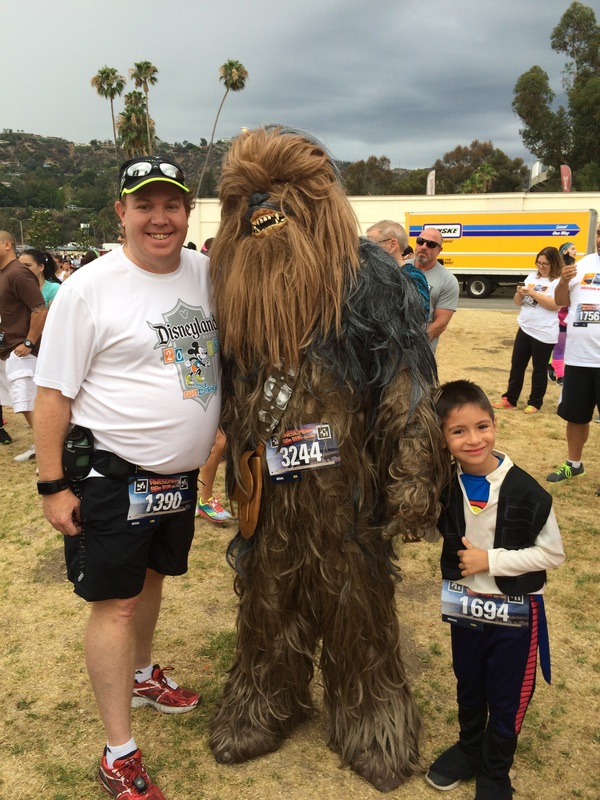 Still before the 10K started (it started late), I saw Chewbacca and son dressed as Han Solo! 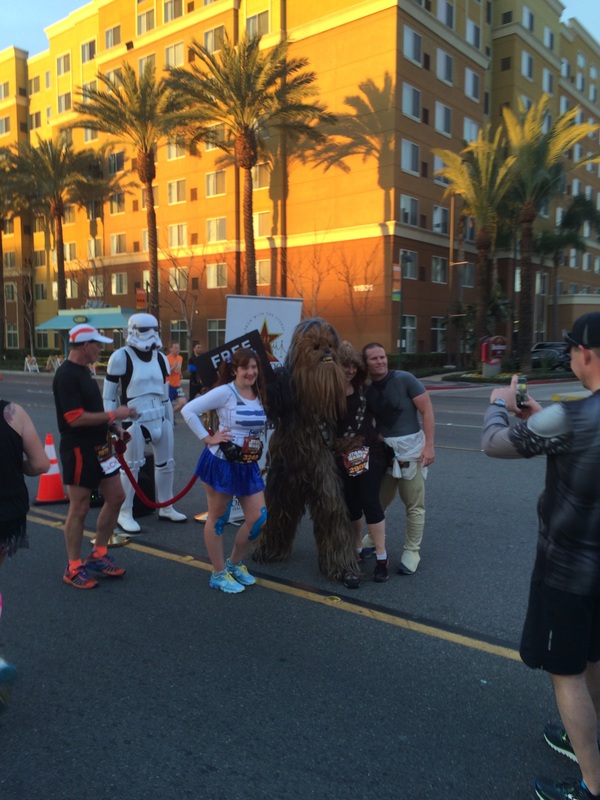 He looks like this Chewbacca from the Star Wars Half Marathon. Don’t you think? 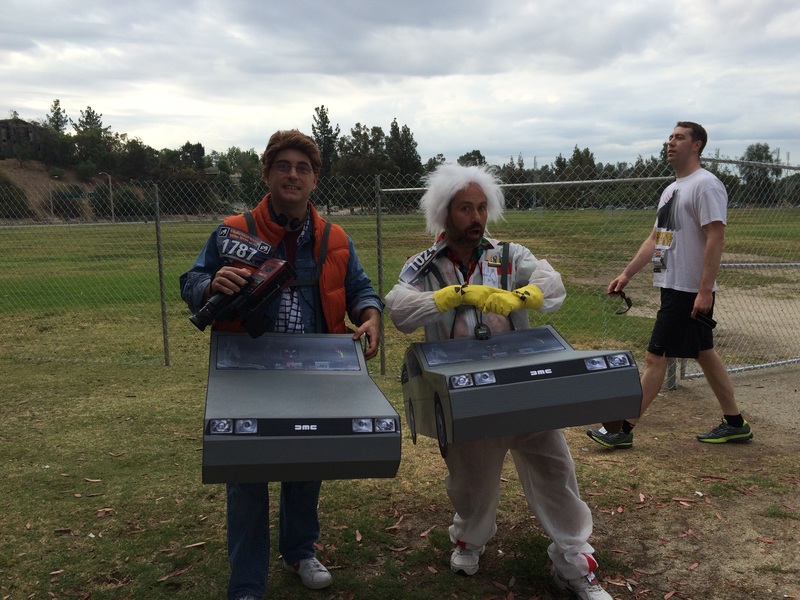 Back in the corrals, there were lots of Back to the Future themed costumes. These guys really got into character for this picture. We lined up right near the 3 mile marker for the race and waited our turn. Here’s another thing I wasn’t a fan of for this race. You couldn’t hear the MC’s start the 10K or the 5K. It was all sort of one jumbled mess. I hope there was a gap of time in between the start of the 10K and the 5K, but have no way of knowing. If there was one, it wasn’t much of one. The 10K started around the time that the 5K was supposed to start. So, I think the late start contributed to the messy start. As I got going in the first mile, I learned why having several corrals at a race is a good idea. 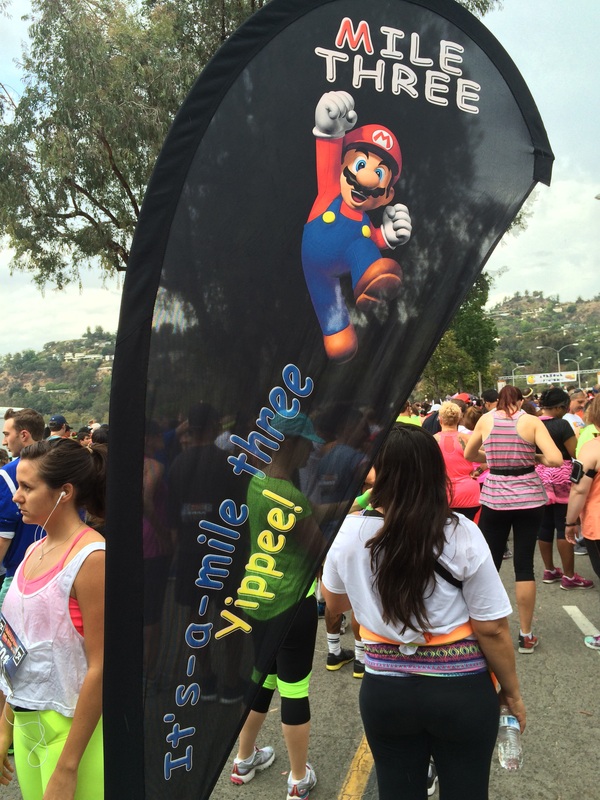 This race is billed as a fun run and it truly is. However, if you want to actually race this race, you’ll have a hard time at the start. Without any seeding of starting corrals (except for 10K vs. 5K), you had folks that looked like they planned on walking the whole thing starting before those of us who wanted to run. It was pretty frustrating in the first mile. When I ran, I was running slow because I constantly had slower people get in front of me with no way around. I tried my best to weave in and around people. Since I knew I was going slower in my running, I was on no particular run/walk interval plan. I ran for nearly the first 2 minutes of the race before taking a walk break. However, I could see that it was slow going. So, I was pretty off. The first mile took me nearly 12 minutes to finish. That frustrated me. It was somewhere around the end of the first mile where I gave up on getting a fabulous time. Instead, I decided to get what I could. Mile 2 gave a little more clearing in the crowds. However, I was also dealing with some pretty humid weather. It was a really strange weather day for this race. We got a few drops of rain before the race started. Mile 1 felt really humid and the temps seemed to be going up. In the second mile, I even had some bright sunlight to deal with. In this mile, I settled into an actual run/walk interval of 30/60 for the most part. As I got towards the end of the mile, I tried a few 1 minute runs. However, since my time was so slow, my heart wasn’t into it. 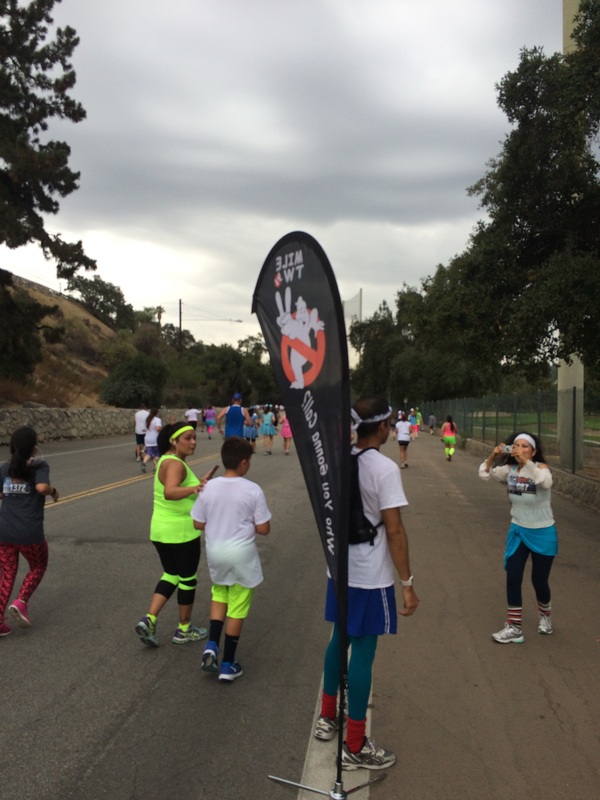 Towards the end of mile 2, the clouds grew darker and thunder and lightning started up. By the start of mile 3, the rain started. It was the most interesting weather I’ve ever run a race in. 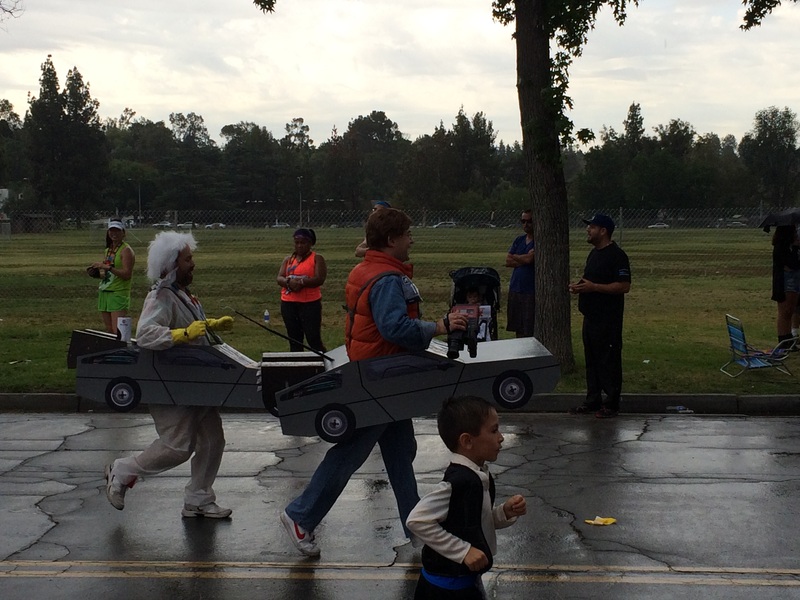 As I made my way through mile 3, I was thinking about the Back to the Future movies and hoped that no Delorians would be struck back to 1955! or 1985 for that matter! Mile 3 was my best mile by far. I put in several 1 minute run/1 minute walk intervals in this mile to help make up a little time. Unfortunately, it was too little, too late. One thing that I am proud of is having a great finishing kick. The finish was pretty much downhill. So, with about a quarter-mile left, I just ran the rest of the way to the finish! The rain was picking up as I got closer and closer to the finish. In some ways, I think the rain helped keep me running. My finishing time was 36 minutes, 29 seconds. In other words…pretty much what I ran the Tuesday before. Oh well. I finished with rain, thunder and lightning and running the opposite way that I trained. It was kind of fun waiting in line to get my medal in the rain. I’m not going to lie. Isn’t the medal pretty cool? I love it! 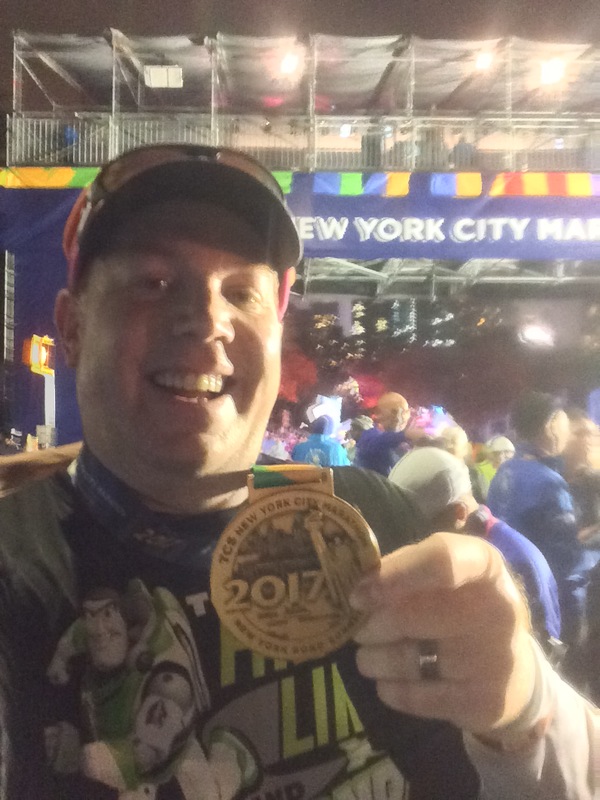 As the rain continued, I headed back to the finish area to try to find a friend of mine who was running the 10K. Sadly, I missed her. However, I did get to see these guys finish! 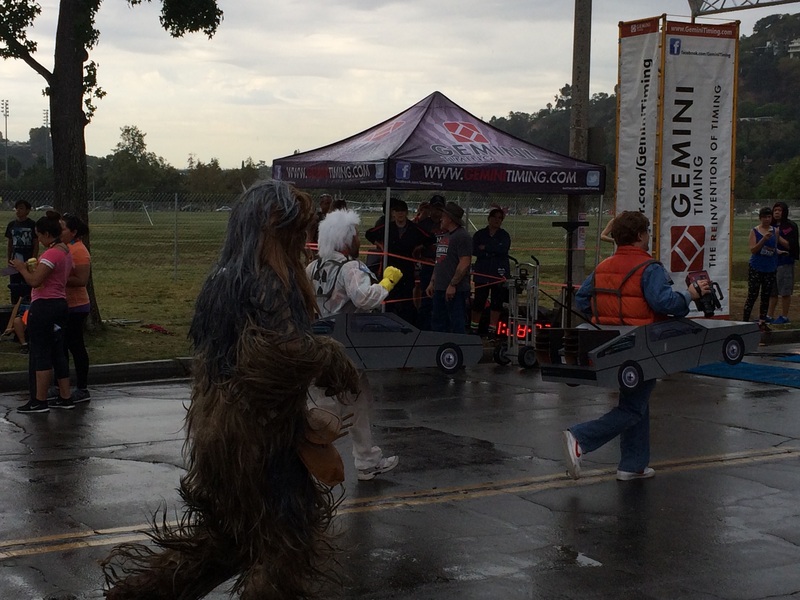 It was Back to the Future vs. Star Wars and Han Solo was gunning for the win! Han Solo beat Chewbacca and the Back to the Future guys. Look! 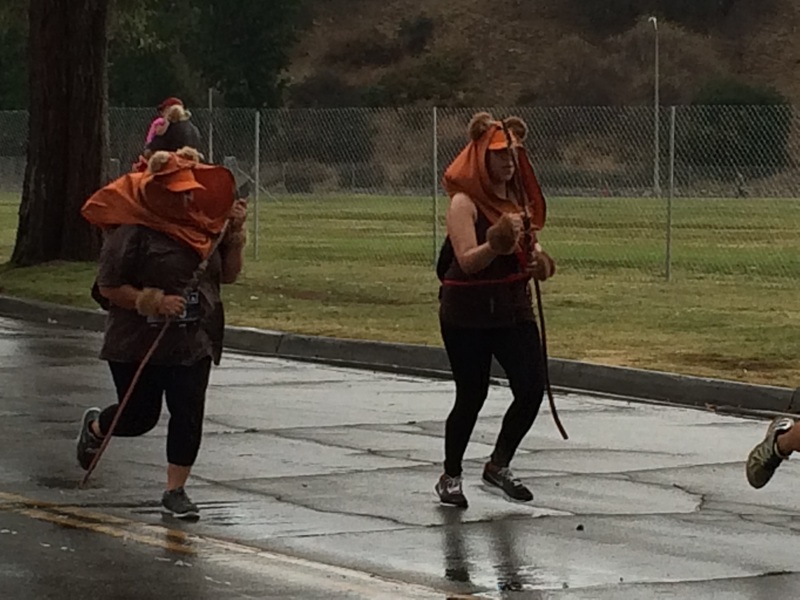 Some Ewoks ran the race too! Honestly, it was fun to watch others come to the finish. Even if I didn’t see my friend, I did enjoy watching many others finish. 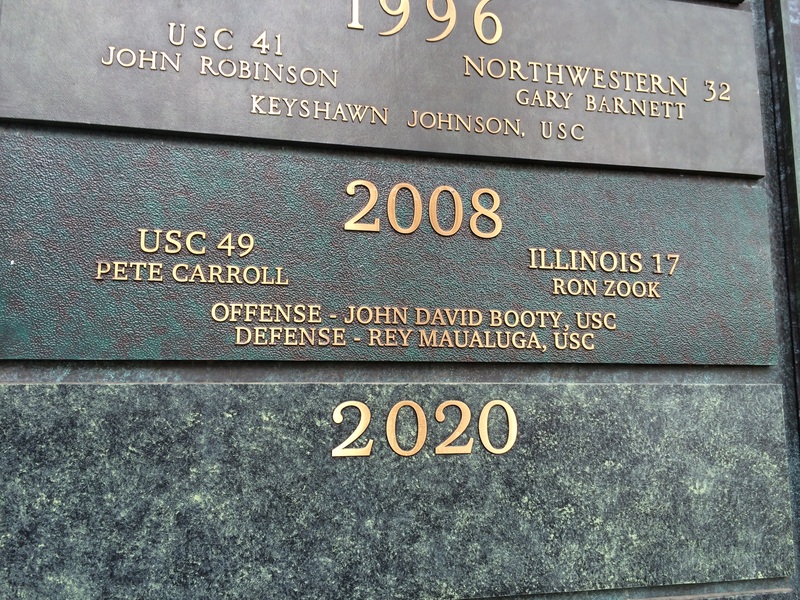 Ah, remembering better times for USC Trojans football! 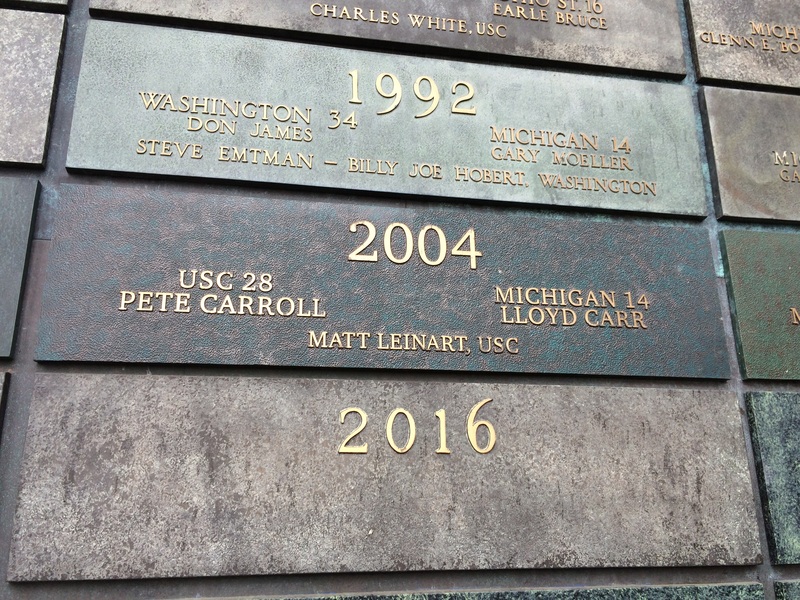 I miss the Pete Carrol era of USC Football. If you advertise a race route on your web site, please keep to that route. Seeded corrals make for a more enjoyable race. Even self seeded corrals work pretty well. I loved the finishers medal! It was a huge improvement over the last time I raced this race. Great job race organizers! I loved that I got a race shirt in my size! Last time, I had to take the largest they had and it was a few sizes too small. 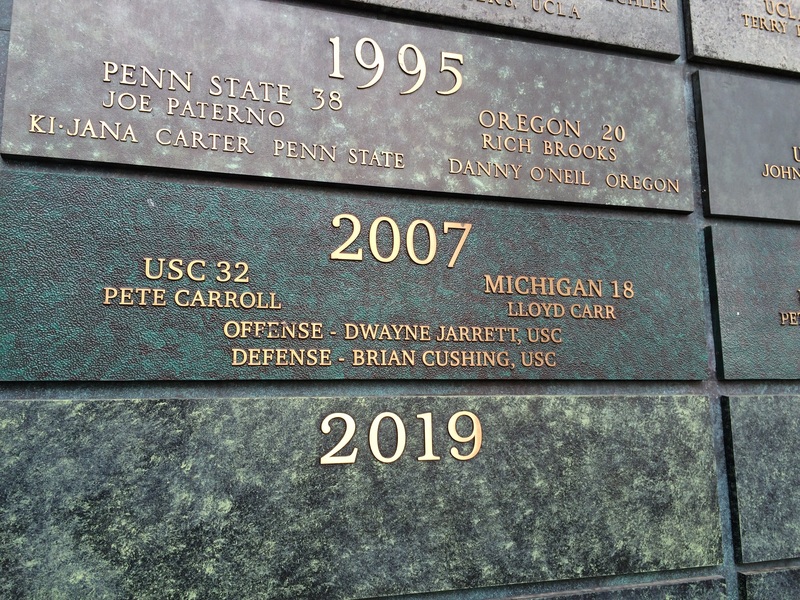 Running around the Rose Bowl is always a good time! The scenery is awesome. 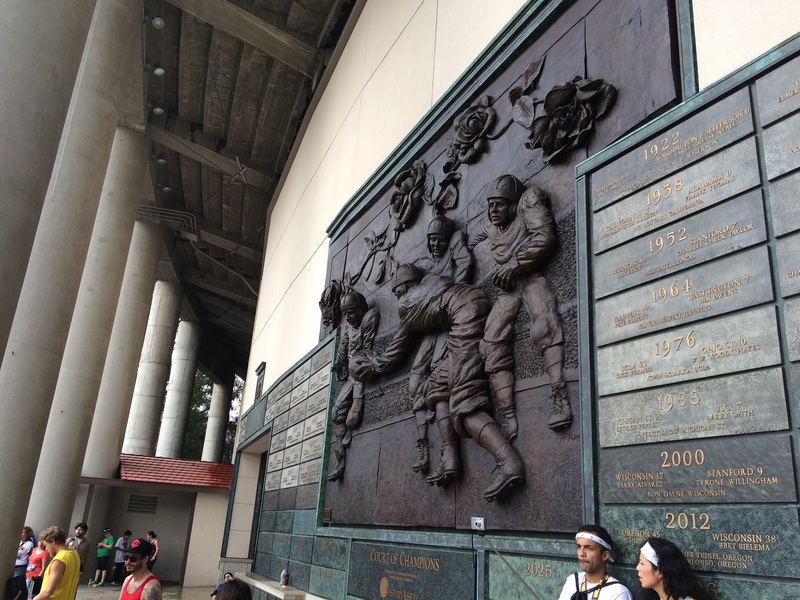 You get to run around the stadium and a beautiful golf course. An 80’s theme is always fun! This is billed as a fun run and it lived up to the hype. There were lots of fun costumes (some of which I have no idea how hard it was to run in). It looked like they had plenty of post-race food and water for the runners. Not all of the smaller races can say that. So, kuddos for making sure there was plenty for everyone. 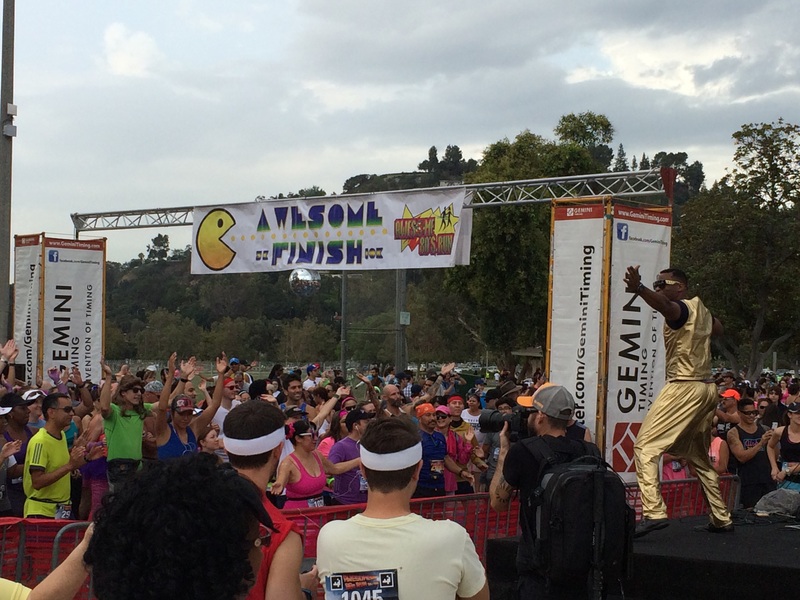 There are other Awesome 80’s runs put on by the same race organizers. If you register for one of them, you should know that the races feel very much like any local race. 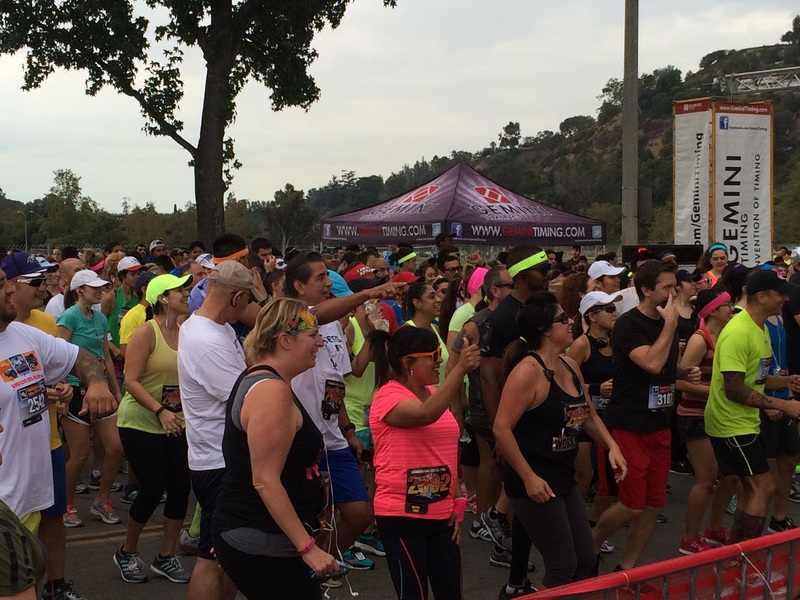 These are not as organized as runDisney, Rock n Roll Series, or major marathons. They are meant for fun. So, just know that going in and you’ll be fine. I believe that Super Hero Events (the race organizers) are run by a running couple. 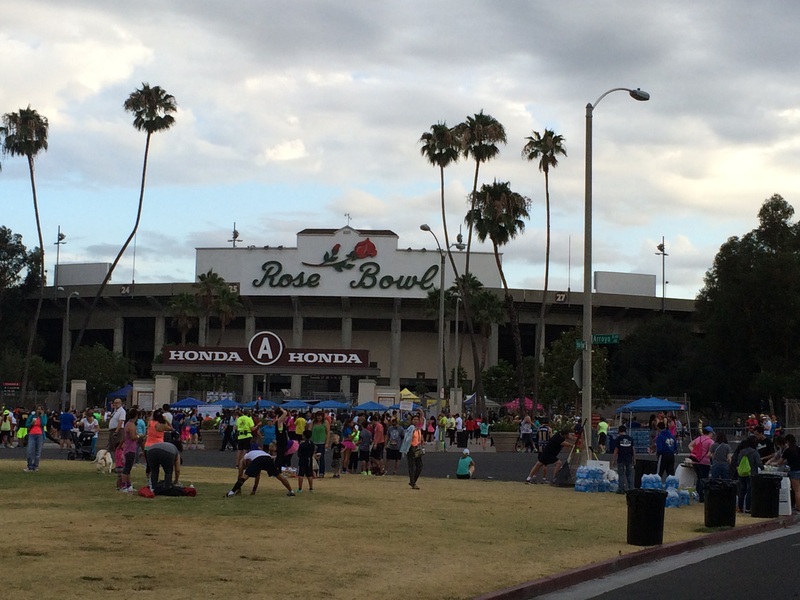 So, they are truly trying their best to put on a great event for the runners who participate. Because they are a small organization, they do listen to the comments (both positive and negative). Would I recommend this race? Sure. Will I run it again? Probably. However, this is a race I’ll probably only run when they have a cool medal. Sadly, there will be no new 5K PR for me this year. I’ve got two 10K’s, 3 more Half Marathons and 1 Full Marathon to attempt to set some PR’s. This race really shows the value of training. 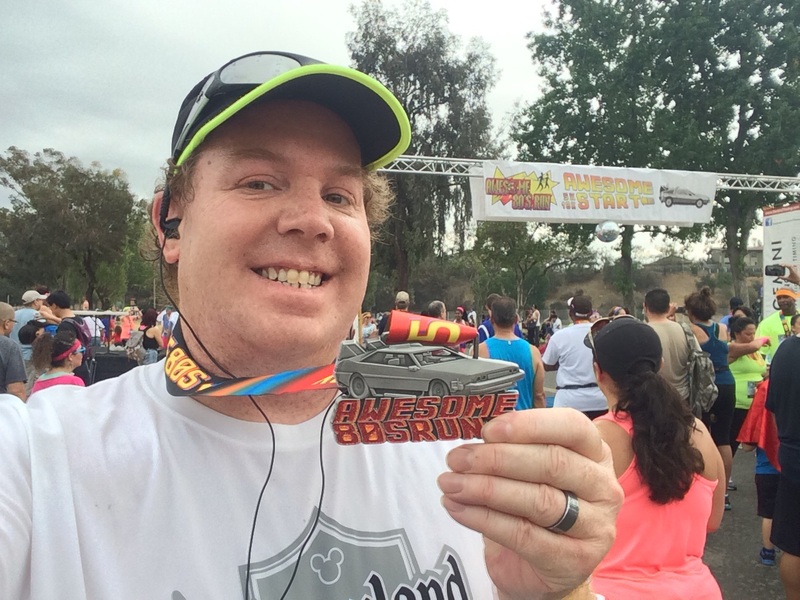 If I’d continued pushing my training after the Rock n Roll San Diego, I probably would have been ideally suited for a 5K PR. Lesson learned. Of all the races left in this year, the Bank of America Chicago Marathon is the one that matters most to me. I really want a sub 6 hour marathon. So, if that’s the only PR I set the rest of the year, I’ll be happy. It’s time to get back to work. I know! It’s a much better medal than I was expecting! great recap-I am waiting to see if they post more pics before putting mine up. 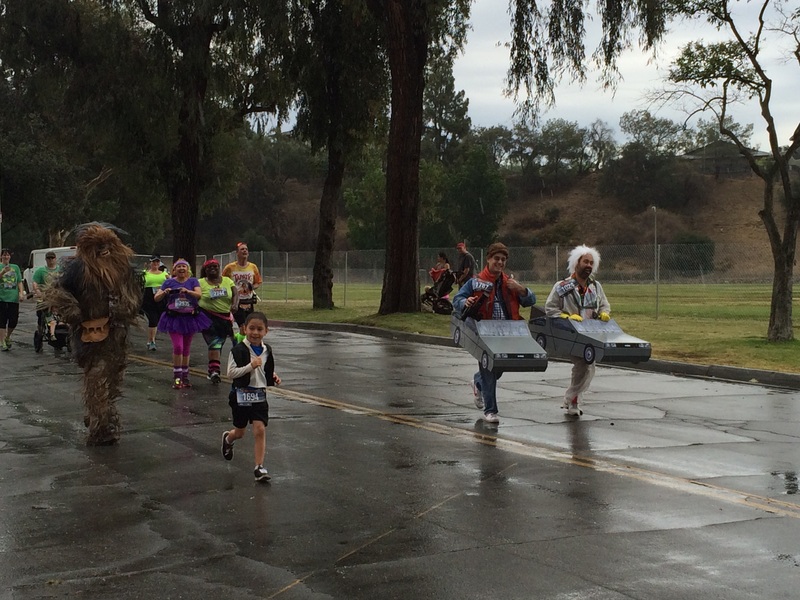 I looked for you at the end (and I should have seen you because I ran ahead of the ewok group!) but with the rain and craziness, it was a bit of a mess haha. I think the main issue is the late start and course crowding. I think they should have corrals with projected finish time and then go from there-it would help with weaving (which for me was INSANE when I caught up with the end of the 5k people). So, I probably saw you but didn’t know it. Oh well. I do agree that they needed some sort of corrals. That would have helped out. I think that, with the late start, they didn’t really space out the 10K start from the 5K start. It all appeared to start together. 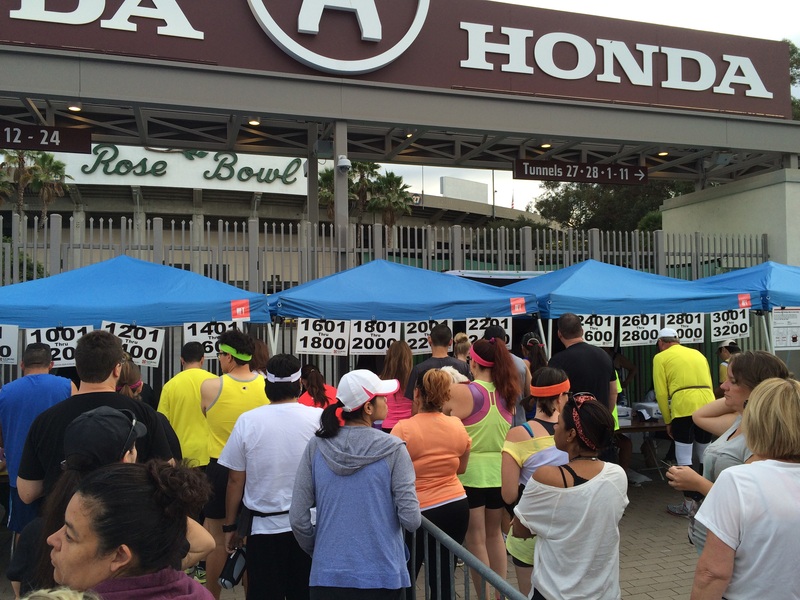 They probably should have had the 10K group go without any 5K runners in the corrals. Self seeding works well with other local races. Maybe next year, they’ll try that out. I love the medal as well!